Animal Control: Falcona can mentally control all birds of prey, especially Falcons. 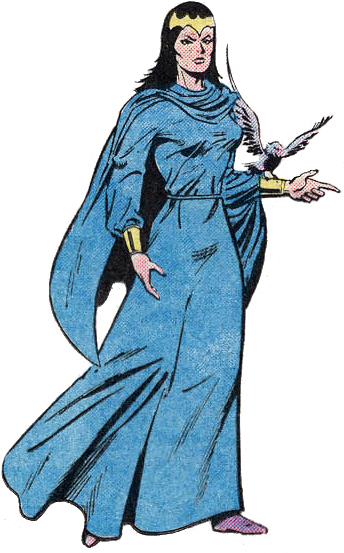 Falcona is a member of The Inhumans, they are a race of beings that split from the human race 25, 000 years ago after the alien race called the Kree began to experiment on Earth's then-primitive Homo sapiens to produce the genetically advanced Inhuman race.. Although their experiments were successful in creating a strain of humanity with extraordinary abilities. the Kree abandoned their experiment because a genetic prophecy had predicted that the experiments would eventually lead to an anomaly who would destroy the Kree Supreme Intelligence.. When the Kree left the Inhumans were left on Earth.